If you've been soldering for any time at all, it's likely you've wondered whether breathing in all of that noxious smoke was bad for you. I mean, how could it be good? You might have been skating by for too long sitting next to an open window, with a cheap CVS fan on a low setting, in the dead of winter, or just being to lazy to open a window at all. It's time to get yourself a fume extractor rather than risk some inhalant-type cancer. A fume extractor works by using an activated carbon filter + fan to remove soldering smoke and other poisonous fumes from your work environment (Source). 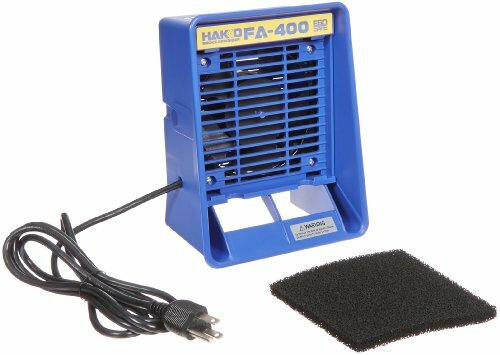 Our top pick is the Hakko FA400 smoke absorber. It's a small but strong bench top unit that has received significant praise from its user base. The Hakko works either laying down or standing up, functioning in low-profile positions. When fixed in a low profile position it generates 2.5x the airflow and efficiency. Its activated carbon filter provides over 8 grams of highly activated carbon- with an easy to replace filter. With any of the fume extractors we've rated below you can just just pop on the button and quit breathing in those evil and smelly soldering fumes. Most of the units need to be placed pretty close to the work area to be effective. This 3 lb, 19 watt Hakko fume extractor is an effective solder smoke filter that functions while standing up or laying down. This low profile position helps to provide improved airflow and efficiency. Made from ESD (Electro Static Discharge) -safe materials, it contains 8 grams of highly activated carbon and can remove soldering smoke without creating an unreasonable draft. Some users complain that it is too loud, while others aren’t bothered by it. This 2.8 lb Aoyue benchtop smoke odor absorber is capable of removing fumes safely and efficiently at approximately 37 cubic feet per minute of airflow. It is ideal for those hobbyists practicing wood burning, soldering, arts and crafts, electronics and stained glass work. With a 5″ x 5″ filter area, it contains an easy-to-replace activated carbon filter that absorbs up to 80 percent of odors in the air. It is constructed of plastic with the only exception being the metal stand and clips that secure the carbon filter in its place. One weekly user writers that he’s been using it for a year without having to replace the filter. In general, this is a solid and powerful option. This ESD-safe smoke odor absorber has a one-cubic meter per minute capacity. It’s able to effectively remove fumes from a soldering area and pass them through to an active carbon filter that can absorb up to 80 percent of the odors from the air. It runs on 19.2 Watts having a power factor of 0.63 and with a noise level of 65 dB at a 12-inch arc from the front. 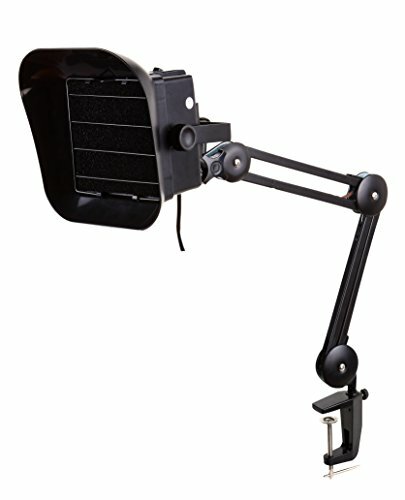 It ships with an articulated arm and a spare filter. Users write that it isn’t the strongest extractor on the market- it generally needs to be 3-4 inches from the work area to be effective. The 4.5 lb, 20 watt Xytronic 426DLX smoke odor absorber includes a brushless mini fan with an easy-to-replace activated carbon filter. It provides strong suction that can effectively absorb lead fumes and noxious flux. Operating on 20-22 wattage with a filter size of 130 mm2, its maximum air volume is about 95/115 CFM. It has a sturdy metal construction that comes with a thick power cable as well as three extra carbon filters. One user recommends that it be placed within a foot of the soldering work area for best effect. Another writes that it has helped him with his allergies. Overall, this is a strong option to consider. Watch the Xytronic get unboxed! 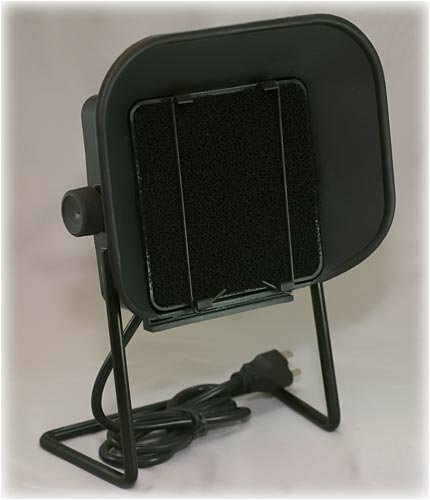 MegaBrand’s smoke absorber is made from anti-static material with a filter that contains foam and activated carbon designed to efficiently absorb toxins in the air. It has an adjustable absorbing angle, easy-to-replace filter and 30-watt power consumption with a maximum airflow of about 1,000 liters per minute. One reviewer writes that you need the extractor to be within 6 inches of your work area for it to be effective. How Dangerous Are The Fumes? Some people use their fume and smoke extractors all day long, others will use them episodically as they work on soldering projects. When you begin to notice that the effectiveness of your tool is declining it may be that you need to replace the filter. One particularly savvy user describes using a homemade filter of polyester batting and placing it in front of the filter. He notes that carbon filters are able to neutralize smoke's chemicals, which reduces the odor but does not function as a effective particle filter. Adding this other filter can make the carbon filter last for a longer period of time. Other users describe using it as a way to clear out the smell of cigar smoke. Another user writes of working on a soldering project that involves an analog synthesizer- he had become sick of been handling all of the disgusting fumes and purchased the Hakko bench-top smoke absorber. He ended up preferring this small model as opposed to a ventilation hood or some other industrial respiration device because it gives him more space and freedom to work. Most of the units that we have reviewed above will require that you place them close to your work area as they are not industrial-strength fume extraction solutions. Another user has described working on stained-glass soldering and being concerned of the risks of mesothelioma. And was happy that the device he chose was able to clear his immediate work area of the noxious smoke and fumes. 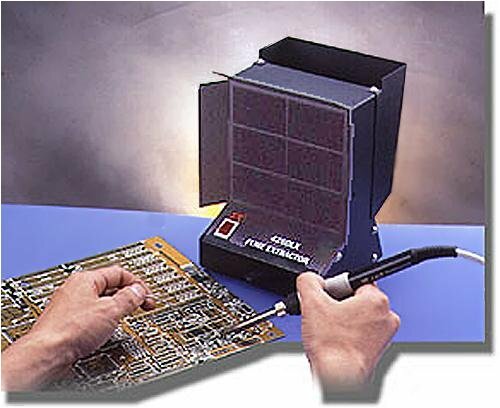 For people that are soldering every day, It makes sense to go with a higher-powered fume extractor so that you do not have to place it has close to your work area. Another reviewer who works with leaded solder describes unpleasant effects that include burning eyes and nasal cavity irritation that lasted for hours. After purchasing one of these smoke and fume absorbers he was able to work in peace, describing the Weller WSA350 as being about 45 decibels loud. He also commended it's powerful ability to absorb the flux fumes away from his face as he worked- this removed distraction and helped him work more accurately. 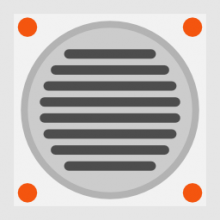 Regarding fan noise, some people find the noise comparable to a computer fan and it doesn't bother them, while others are more sensitive to the sound.